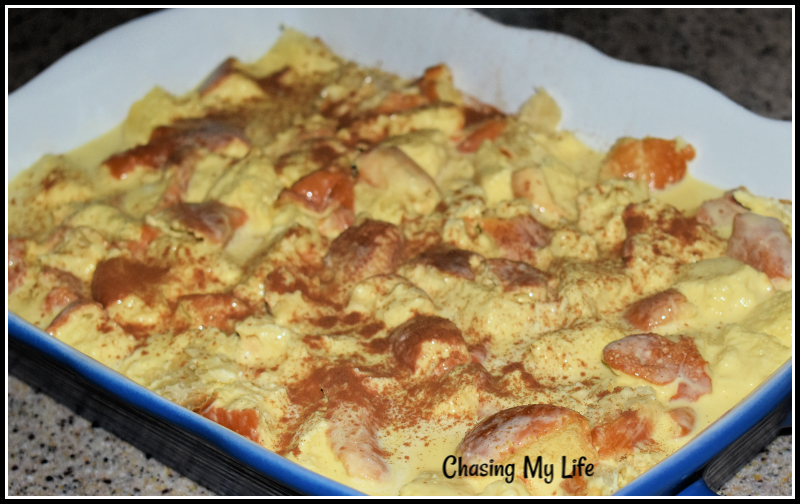 I found this make ahead casserole that lets you spend your weekend with your loved ones instead of slaving in the kitchen over at Marilyn’s Treats. I’ve made a few changes to adjust to our taste palette, but it still tastes like it was made in a 5 star restaurant. AND THIS IS SO GOOD ALL BY ITSELF THAT YOU CAN SKIP THE SABAYON SAUCE IF YOU WANT TO MAKE IT EVEN SIMPLER. In a small saucepan cook the butter, brown sugar and honey over moderate heat, stirring frequently, until smooth and tawny colored. Pour the mixture in an even layer into a 13×9 baking dish. 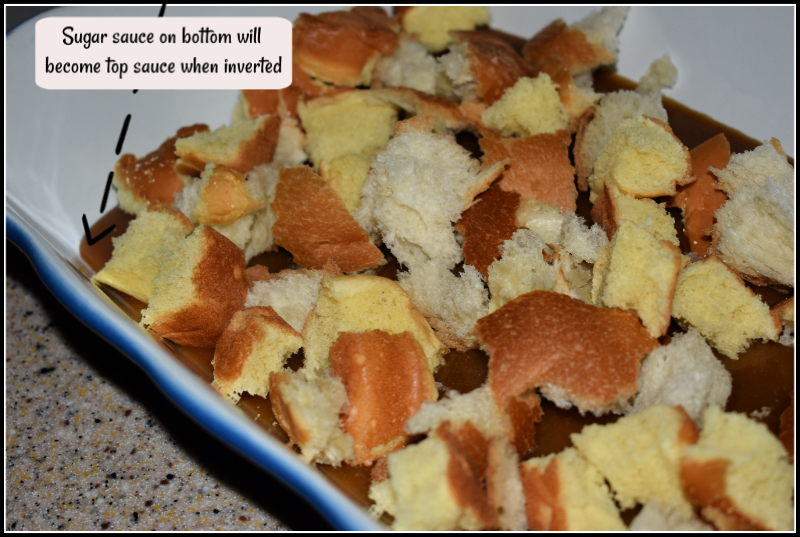 Add all the bread on top of sugar mixture and press lightly so the bread compresses, but don’t squish more than about ¼ of the air out. In a medium bowl whisk together the eggs, milk, cream, vanilla, almond extract and salt until combined well and pour evenly over the bread. Cover the casserole with cling wrap and refrigerate a few hours or overnight. Bring casserole to room temperature. Bake casserole, uncovered, in middle of oven until puffed and edges are pale golden, 35 to 40 minutes. The simplest method to check for doneness is with a digital thermometer. The casserole is ready when the internal temperature is 160. Serve hot French toast immediately with FRESH fruit, butter, Sabayon sauce, favorite syrup or whipped cream. First, fill a large bowl with water and ice and set this aside. Set up a double boiler on your stove top and make sure that the bowl that is sitting on top is not touching the hot water below in the pot. Add the yolks to the bowl and turn the heat on medium high and start whisking. The yolks will slowly get warmer, so keep on whisking and add a little sugar at a time until it is all incorporated. Continue to whip until the sSbayon is very pale and registers 160°F on your thermometer. Make sure you continue whisking so as not to cook the yolks. Cook at this temperature for a few minutes and then carefully remove the bowl from the double boiler and set it into the larger bowl that you have set aside that is half filled with ice water. Continue to whip until completely cool and ribbons form as it falls from the whisk. Add the Marsala wine or liquor of your choice, zest and the vanilla. Fold in the whipped cream and serve immediately. It looks the prettiest when the pieces are served upside down. 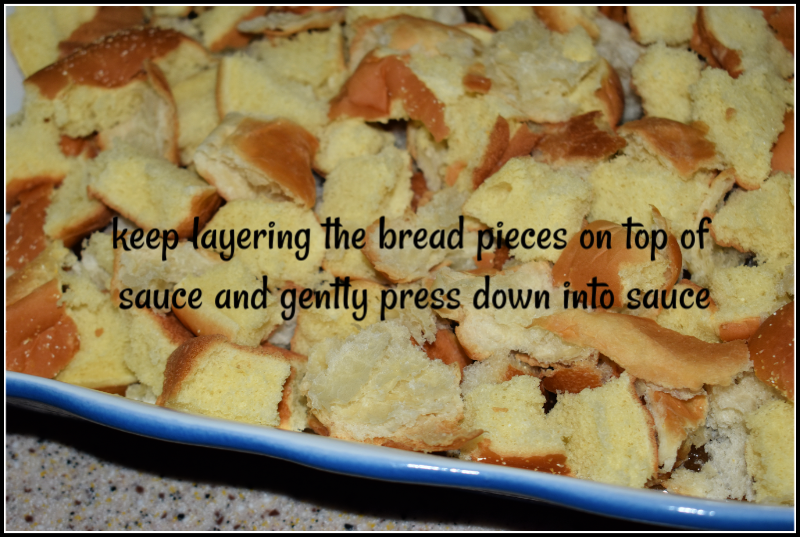 You can also invert the entire casserole onto a slightly larger platter or cookie sheet for serving a large group. Traditionally, Sabayon is made with Marsala wine, but you can use whatever you like. Many people use rum, brandy, cognac, grand marnier etc… Whatever you use, just make sure that the flavor of the liquor will compliment the fruit you are using. I like a pineapple rum with strawberries. 😀 This batch was made with Marsala, blueberries and oranges. 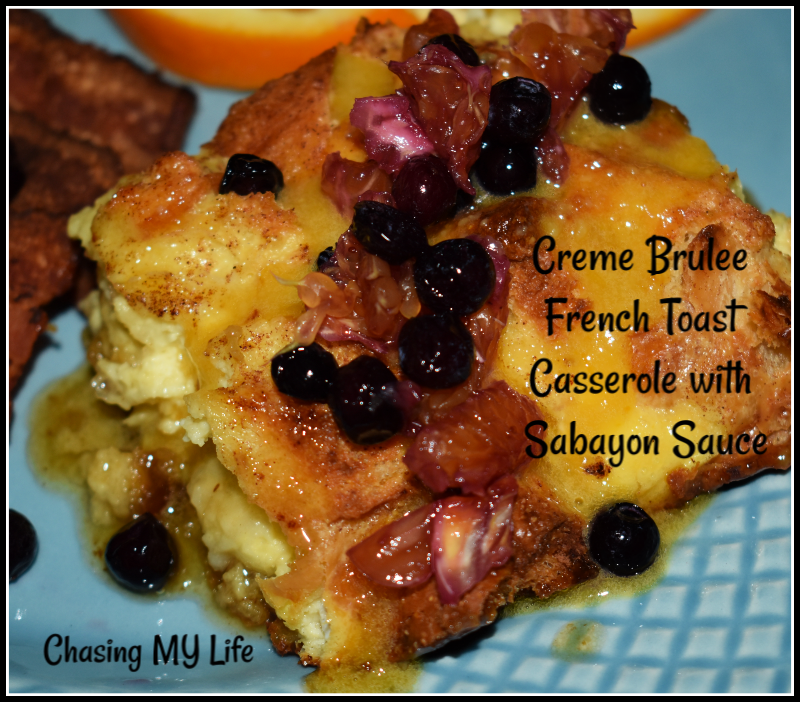 Using the whipped cream in the Sabayon sauce lightens it up just before serving. Looks delicious! I’ve never heard of sabayon sauce but it sounds good! Thanks for sharing with us at The Blogger’s Pit Stop! Thank you! I hadn’t heard of it either before finding this, but it honestly does NOT need it – it is GREAT ll on it’s own. Have a great week. The buttermilk doesn’t have an amount in the list of ingredients. Did I miss something? Thank you so much for catching that so I could correct the recipe!!!! 😀 It’s 1 1/4 cups of buttermilk. OK, if you insist on posting these delicious looking foods….you’re going to need to deliver it. I want the Friday 7:30 am slot twice a month and I’ll tip the Uber driver if it’s still hot.